Singer, song writer, guitar player. 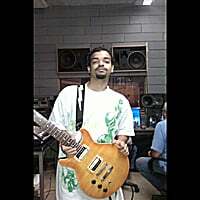 Have been playing guitar for over 10 years, and currently in the studio completing my album THE BRYANT C PROJECT. This music has been built up inside me for years and now it's time to let it all out. "THE BRYANT C PROJECT" Reviewed by RadioIndy.com! Here is some the new music from my up and coming album. Six songs for your to check out!